Should My Storage Facility Have a Yelp Page? Today’s consumers no longer need to rely on the word of salespeople or vendors. They have the internet! It is easy for anyone to tap into an abundance of testimonials, reviews, articles, and more when researching products and services. 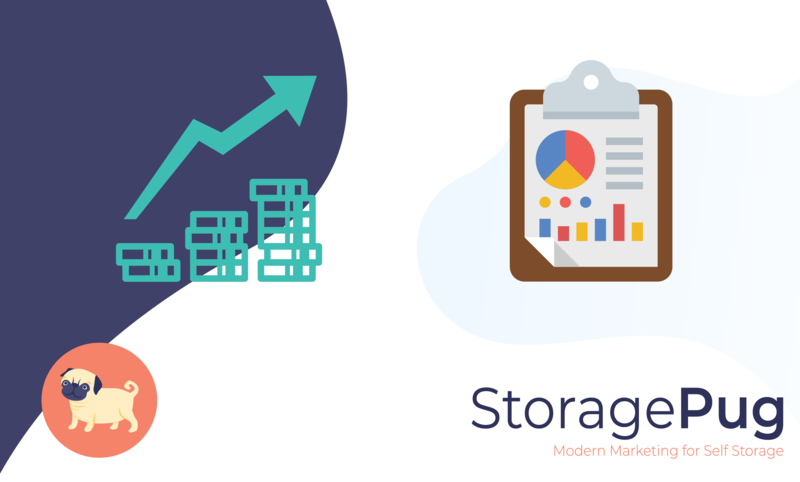 It's is true no matter what people are consuming – whether it be food from a restaurant, clothes from a department store or rental services from your self-storage facility. People nowadays rely on the internet as the be-all, end-all source of information. They may not admit it, but research concludes with this seemingly contrived observation. Not only do people trust online reviews as if they are an electronic word of mouth, but their trust is also growing. 88% of consumers say they trust online reviews as much as personal recommendations (vs. 79% in 2013).  Further, what other people on social media say can have a dramatic effect on your business, positively or negatively. In the past, when people looked to make a final choice on a specific product or company to use for a particular service, they turned to their friends, family, and co-workers for suggestions based off past experiences. Today, more than enough information is widely available for free on the internet. Just think about the popularity of consumer review sites such as Yelp. Yelp offers user-generated reviews on businesses worldwide in an attempt to provide the most information possible to the consumer before a purchase. From a macro perspective, these reviews are a good thing. They can help consumers make better-informed decisions, hold businesses accountable for poor experiences and reward businesses that do an outstanding job. But not everyone online has the best intentions, and not everyone is sincere. Bad reviews don’t have to be necessarily true to harm your business dramatically; the mere fact that they are negative could turn people off. One bad review might have the power to counteract 10 or more positive reviews. However, can you manage unfair reviews on Yelp? The answer, fortunately, is yes. Even if you don’t want to have an active presence on the site, managing all of your reviews on Yelp will help boost the credibility of your self-storage business. At the risk of abrasiveness, ignoring your Yelp page is a mistake. 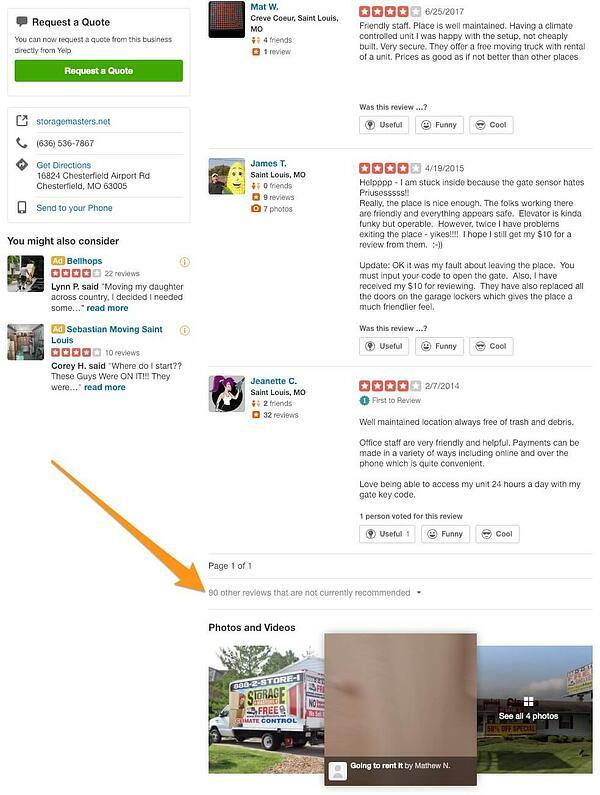 Users can leave reviews on Yelp about your business even if you don’t have an active, claimed listing on the site. 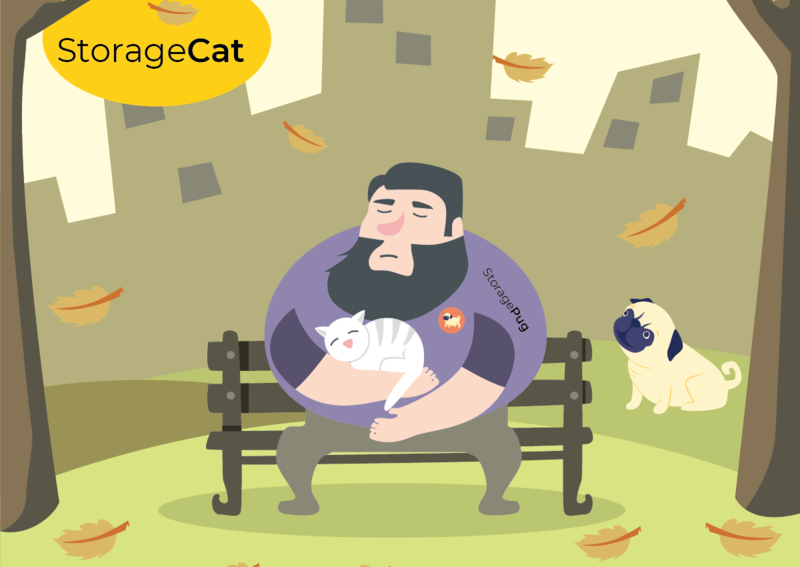 Negative reviews could get left about your self-storage facility without you even knowing, but that is really on you. Yelp is a user-generated review site that began as a source for restaurant reviews on the West Coast. Over the years, Yelp gained traction through marketing and organic growth to become an ultra-powerful, popular review site for businesses in every sector. As of March 2015, Yelp received an average of 142 million unique visitors per month. That’s an awful lot of traffic and an awful lot of eyes. Yelp allows users to register on the site and leave reviews, both positive and negative, about experiences they’ve had with a business. The review includes a star rating and the opportunity to submit a detailed explanation of the review. Also, Yelp allows users to post anonymously through a username of their choice, which will enable users to say almost whatever they want with no recourse. 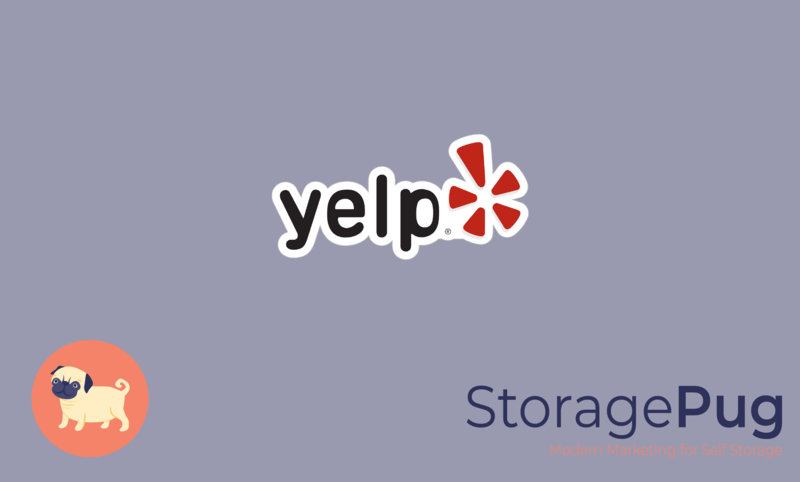 The negative aspect of Yelp and any review website can come in for your self-storage business. A tenant of yours could have a bad experience, whether it be your fault or not, and then call out your business on Yelp, dragging down your business’ rating on the site, which could influence other potential customers into choosing a competitor’s self-storage facility over yours. Conversely, positive reviews can have a high impact on your business. If your facility consistently gets high ratings, it helps to instill confidence in potential customers, giving you a leg up on your competition. The most meaningful benefit of Yelp is that it can provide potential customers with that sense of confidence in your business. People who go to Yelp to read reviews are highly engaged potential customers. They wouldn’t go on Yelp to see the reviews on your storage facility if they weren’t considering your business for their self-storage needs. Plus, Yelp makes it easy for people to find your business, with detailed information about your business as well as a map so they can see the location of your storage facility. Undoubtedly the most prominent "gotcha" of Yelp is that it filters reviews. Filtering can give more weight to specific users and certain types of reviews. Yelp's filtering algorithm tries to create a high-level summary of your reviews by creating a shortlist of "recommended reviews." Take Storage Masters for example. Their Chesterfield location has a solid Yelp page (click here to see it). At the time of this writing, their rating is 4.5/5. That's a solid rating! A cursory glance would lead you to believe that they have a total of four reviews, one of which is five stars, and the other three have four stars. They have 90 reviews. The vast majority (80!!) are five-star reviews. If you scroll to the bottom (shown below) and click the link, you can see the rest of the reviews. At this point, you still only see a couple more reviews. You must click "Continue reading other reviews that are not currently recommended" to see all of them. In the case of Storage Masters Chesterfield, they have 80 five-star reviews, nine four-star reviews, and one three-star review at an average of 4.877778, which rounds to 4.9. Although this average is somewhat close, 4.9/5 sounds much better than 4.5! Evidently, they worked hard to get 80 five star reviews, only for Yelp to use one in the end. In short, a lot of positive reviews on your business possibly get hidden in favor of negative reviews. It could be extremely problematic because, as mentioned earlier, one bad review could have the power to counteract multiple positive reviews. Another con is that bad reviews on Yelp could destroy your business. The worst part about it is you don’t have any control over the reviews left on the website. While you can respond to the reviews, it’ll be next to impossible for you to convince Yelp that a bad review should be removed from the site entirely. So what is the solution to combatting these negative reviews? The most important thing is to claim your Yelp listing and monitor all of your reviews on the site. You don’t have to have the time and the desire to encourage positive reviews on Yelp actively. That’s not necessary. It's more advantageous to drive reviews to Google My Business. What is necessary, though, is that you respond to all of your reviews on Yelp, whether they are positive or negative. It will show appreciation to the customers who left good reviews and maybe even ease the minds of those who left bad reviews. At the very least, if you can’t change the mind of those who left you a bad review, managing your reviews on Yelp will show other potential future customers who browse the site that you care, and you have offered a solution to the negative reviewer’s problem. Yelp is all about instilling confidence in future customers through the use of reviews by previous customers. In this sense, Yelp can be a phenomenal marketing tool for your self-storage facility, even if some of those reviews are negative.